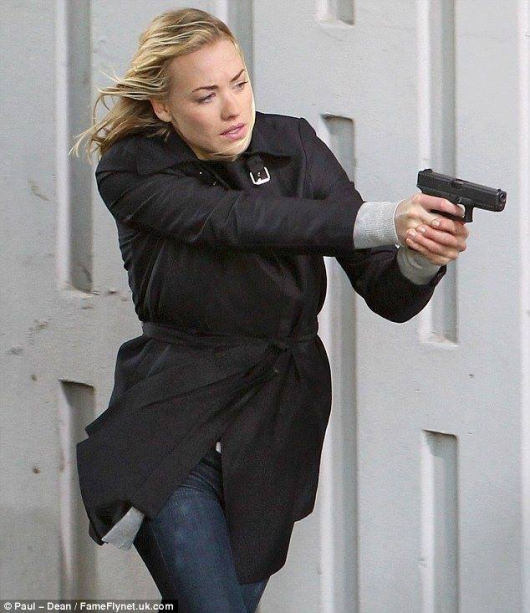 Yvonne Strahovski is now in London to shoot episodes for FOX's event series '24: Live Another Day'. Yvonne plays CIA agent Kate Morgan. Check out more set pics from Jan. 27, after the jump!